Floribundas offer a big bang for the buck. A cross between a Hybrid Tea and Polyanth, Floribundas produce an abundance of flowers in many colors for many months and are constantly in bloom. The flowers do not have the perfection of form of Hybrid Teas and are a bit smaller but they are borne in large clusters, and the bushes are very floriferous and easier to care. Floribundas can even be used as problem solvers in the garden. Do you need to hide an ugly fence, or want fragrance, hardiness, lack of thorns, tolerance to heat, humidity, or drought ? 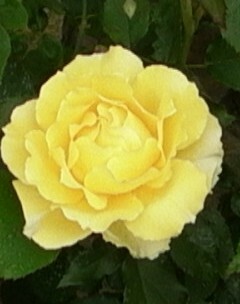 There is probably a Floribunda that can help you out and still provide you with long season color. Here are a number of garden wants and needs that can be filled with a Floribunda with a specific suggestion for each. Many gardens have an ugly feature or structure that is best hidden. Try a climbing Floribunda. One of the very best Floribundas available, it is very floriferous with lovely cup-shaped to flat flowers that cover the bush. A non-climbing variety is also available. Fragrance is lacking in many modern roses, and Floribundas are no exception, but there are several that will surprise you like this one. ’ Considered by some to be the best mauve Floribunda, ‘Angel Face’ has been around for over 30 years. The flowers are carried in clusters of 3-9 and open to reveal a center of lilac ruffled petals, some edged with crimson. The fragrance is strong and earned the James Alexander Gamble France Medal in 2001. Most roses need at least six hours of sun a day but some will tolerate less like this Flribunda. Don’t expect any rose do well is all shade or deep shade and expect smaller flowers and less of them. Crimson buds in clusters of 3-10open to long pink petals with darker backs. Flowers fade to white over time but the backs always remain tinted with pick. The foliage is dark green, shiny, and healthy. Plants are neat and bushy. No one likes to work with plants having thorns (technically, prickles) that tear the flesh and clothing. The thorniness of roses varies with the variety and there are some Floribunda’s that are thornless or nearly so. A new introduction with flowers carried in small clusters and opening flat with ruffled petals. Foliage is medium green with a matte finish. Many plants including roses slow down or quite in summer heat and humidity but some Floribundas just keep on going and seem to love it. 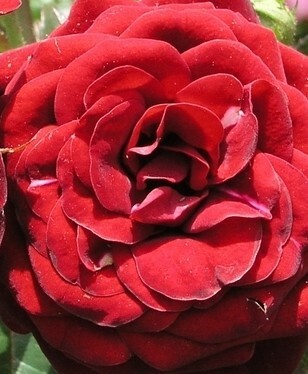 One of the top floribundas for exhibition, ‘Lavaglut’ has deep red produced in clusters of 10-20 and open flat so that the golden stamens are visible within. The vigorous bush is upright, compact and bears leaves that are bronze green before turning dark glossy green. It is generally considered disease resistant but may develop blackspot. Flowers are long lasting in the vase. The name ‘Lavaglut’ means “lava glow” in German and refers to the deep red flower color that does not fade. On the other hand, most roses are not hardy in zones 5 or colder but this Floribunda is. Small, long pointed buds in clusters of 3-9 open to reveal pink flowers with paler centers that fade to white. 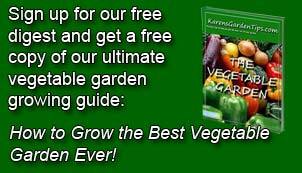 Plants are dense, shrubby, and low growing. The leaves are glossy and dark green. Drought tolerance is a relative characteristic. Most roses need at least once inch of water per week in well-drained soil. 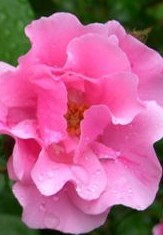 A few roses are able to survive occasional dry spells, including this florabunda. 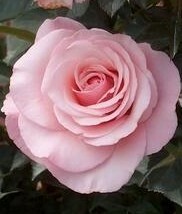 With the designation of “Earth Kind’ rose, ‘Else Poulsen’ is considered a tough rose that does not need to be coddled. The flowers are carried in tight clusters of 8-15 and last a long time on the bush. Opening from dark pink buds, they are pale pink with a white center. The petals are wavy and curve inward. The leaves are dark green and glossy. The plant is upright and vigorous.